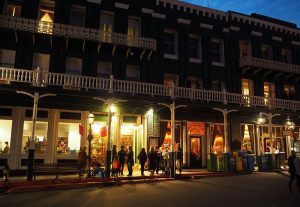 Broad Street Inn, originally built in 1870, is located in historic downtown Nevada City. 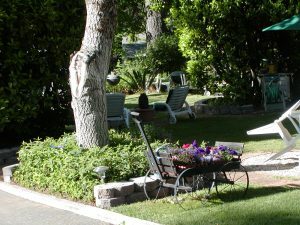 Our six room inn offers a peaceful garden setting and is just a short walk to find dining, shopping, wine tasting and theatre. Also available, 700 sq ft carriage house with queen Bed, bath, full kitchen, TV & wifi. An 1860 fully restored Queen Anne Victorian B&B. 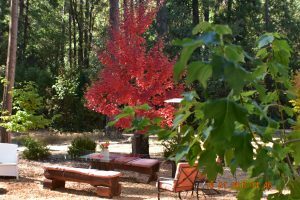 Creekside setting within walking distance to Nevada City. Elegance, Romance & Affordable. Who could ask for more? This elegantly restored and decorated 1856 Victorian is named for 19th Century opera star Emma Nevada. Quiet location, gourmet breakfast. Six rooms, private bath, fireplaces, jacuzzi tubs. $169-249. 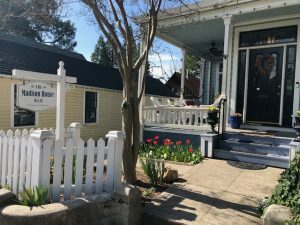 This newly renovated 1860 Victorian Bed & Breakfast stands aside the confluence of Deer Creek & Gold Run Creek a block away from Downtown Nevada City. 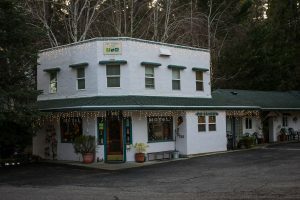 The Inn has 5 unique rooms of which most have their own private bathrooms, & balconies that overlook the Nevada City Historic Flume that spans the canyon with views the year-round babbling creek & waterfall. Enjoy a glass of wine, coffee or tea along the creekside patio under the forest canopy. 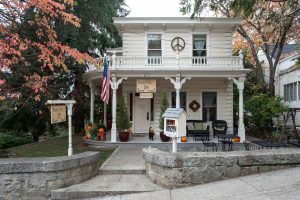 Located at 'in-town' at 534 Spring Street, the Goldtown Hideaway is an exceptionally comfortable experience for guests, as unique as Nevada City itself. 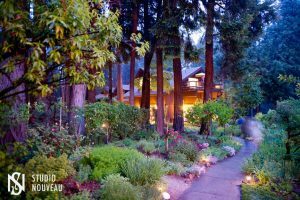 There's a real sense of privacy and seclusion as it is located on a full-acre with vast landscape of towering trees and plant-life, yet only a block from Nevada City's wildly popular hotspots. Renovated in 2014 with upscale furnishings and luxurious bedding. Rates include Parking, WIFI, DirectTV. A mixture of rustic luxury in a stunning natural setting makes Harmony Ridge Lodge the perfect getaway. Our spacious guest suites are exquisitly designed, with many amenities to make you feel at ease. All guest suites have mini refrigerators, microwaves and coffee pots. In the morning we offer continental breakfast in our dining room or outside on the deck. Our tended gardens and 3 1/2 acres of private woods are a great way to take in the beauty of nature. Comfortable park like setting, in-town Nevada city. Twenty-seven guest rooms, including seven cottages. AAA approved accommodations, daily complimentary extended continental breakfast. 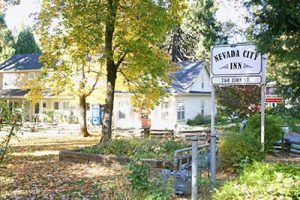 Our Nevada City CA hotel offers you a choice of 8 secluded cabins with kitchenettes, 6 spacious chalets with full kitchens and standard rooms with one or two queen beds. 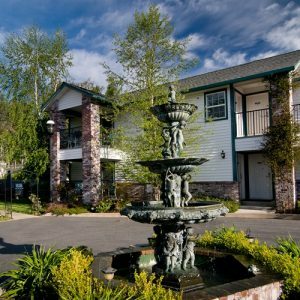 Our pet-friendly hotel in Nevada City is also a non-smoking property that our guests can truly appreciate. 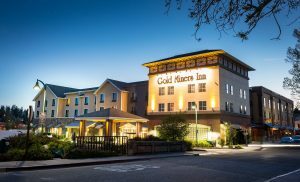 Our hotel is only a few minutes from Downtown Nevada City in the heart of California's Gold Country. 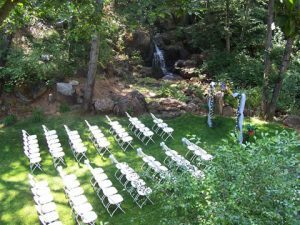 Our outdoor wedding venue with a waterfall backdrop can host up to 150 guests. Wedding reception is held in our restaurant with full in-house or outside catering service. A renovated 1930s-era motor court motel, a few minutes walk from the historic district. TV, phones, swimming pool, 15 outdoor themed rooms, some with kitchens; swimming pool, bbq’s, family friendly, dogs welcome, wifi $84-$215. 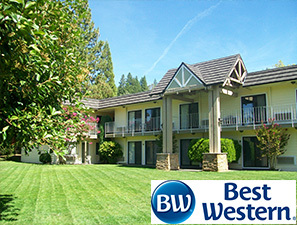 Centrally located between the historic downtowns of Nevada City and Grass Valley, the hotel offers many great amenities including, mini-fridge, microwave, coffeemaker, free WiFi, full breakfast, meeting/event spaces, fitness center, outdoor pool and spa.